My very FIRST giveaway has finally arrived. I reached 500 readers and am so excited that I have to do a giveaway to show my appreciation for the overwhelmingly incredible support I’ve received from you all. -One of O.P.I.’s Copaca Babies mini nail lacquers set! 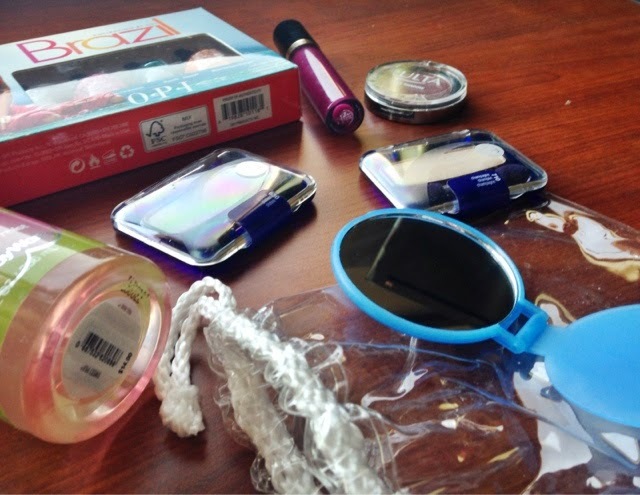 The shades are 1) Next Stop…The Bikini Zone 2) Kiss Me I’m Brazilian 3) AmazON…AmazOFF 4) Where Did Suzi’s Man-go? 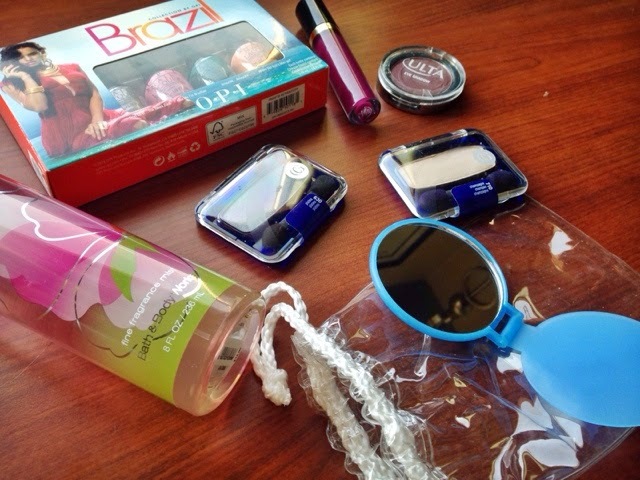 -A handy little drugstore brand mirror that will fit right into your makeup bag or purse. 1) Comment below telling me what your current favorite makeup or skincare item is and why! 2) Follow me on Twitter, Instagram, Pinterest, and Bloglovin and include all of your social handles so I have at least one way of getting in touch with the winner! If you don’t have all of these social media networks, let me know in your comment below that you’ve given me a follow on the ones you do have so I am able to consider you an entrant. The winner will be chosen by random and receive the prize via UPS Ground. That’s it- looking forward to reading your comments below. Good luck & thank you for the support!